Those special people in your life, milestones that you want to celebrate, sends everyone searching for the perfect gift. We’ve come up with 18 amazing gifts that will impress your favorite Dad or Grad. We received samples and/or compensation for this post. Affiliate links are included below. All opinions are our own. Some men have a secret identity, a whole home life where their alter ego is “Dad”. The incredibly cool Superhero Suits by Fun.com let him take a piece of his superhero identity with him wherever he goes. To the office, his next big job interview, to church, or wherever else he may be needed. The Fun.com Superhero Suits are themed around different Marvel and DC comic characters with a hidden inner layer design and matching tie and pocket square. You can play the role of the coolest dad around and be backed by the confidence of your favorite character all while still looking sharp. My favorite style is the Captain America suit, but it’s so hard to choose with other favorites like Justice League, Iron Man, Incredible Hulk, the Marvel Comic Strip one is really captivating, too. You can even get the kids coordinating suits to really help dad feel special. Head over to check out the entire Fun Suits collection. Let him stream all his favorite shows and movie apps with an Amazon Fire TV. This one powerful device can connect with YouTube, Hulu, Netflix, Amazon Video, and more for access to all of your media in one central locations. Find and use over 10,000 apps, games, and even Alexa’s skills to help you find just what to watch. You can skip the cable or satellite subscription and just subscribe to the channels you love and get access right through your Fire TV. He will depend on his Fire TV for more than just movies. This smart device uses the same technology within Amazon Echo. Just say the word and you can play music, order pizza or a ride, skip to the next episode, or find a show. Plus, if you’re already a Prime member, you’ll have easy access to thousands of movies, , Amazon original series, TV episodes, and music with your Prime Membership. Add an Amazon Fire TV Game Controller to turn your Fire TV into a gaming console with even more games available than can be accessed with just the Fire TV remote. Not every guy craves endless gadgets. For him, there’s Distil Union. The company focuses everything they do around a clean aesthetic and design. Their Wally line of wallets are the most simplistic you can get, but with the design details and features that are just right. 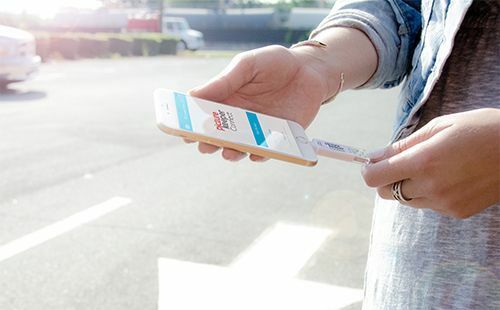 Grab a Wally Case or Stick-On to put the most important 3 cards where he won’t forget them, right on his phone. If he needs a little more, go for the Wally Bifold. This ultra-thin wallet can hold up to 12 cards and 30 bills and doesn’t take any more space in his pocket than needed. The cards stay securely inside with their smart FlexLock pockets and Pull-Tab for easy access. A Stanley Stand will give him hands free access to his devices. It can support a smartphone or small tablet. Unlike some stands, this leather covered stand has flexible steel that will allow you to adjust the viewing angle. The simplicity of the design means it will look stunning on his desk or nightstand and will give him the perfect place to put his phone and support the charging cable so it is always in reach. Visit Distil Union to find the perfect gift for your minimalist. He’s going to love the impressive new sound with a Logitech Surround Sound. The Logitech Z906 5.1 Surround Sound System is tuned to the highest standards for a premium audio experience. They are built to provide a straight-out-of-the-box ease, just set them up, adjust the volume levels, and connect your inputs. The room will be filled with sound with four satellite speakers, no wiring required, that all connect with one center channel and a subwoofer for a full audio experience. The THX Surround Sound can support multiple inputs connecting up to 6 different compatible devices with a variety of connections including 3.5mm, RCA, sic-channel direct, digital coaxial, and optical inputs available. The only thing left to do will be choosing the input from all of his choices, and sitting back to enjoy the sound. Visit Logitech.com for more great tech for dads. If he has nothing on his wishlist, you get to branch out and pick out a gift that is unique and has meaning behind it. Amara has an amazing assortment of luxury gifts that will be hard to find anywhere else, like a DIY Desk Tray kit. It comes with everything he’ll need to make his own catch for his keys, wallet, and coins. Gadget dad won’t have seen anything like the Flip Clock before. To turn the alarm, turn it right side up, to turn off the pestering alarm, just flip the clock over to the off side. So easy and a beautiful minimalist design that will look stunning on his end table. If he’s a paper collector, a HAY Spine Clip Board will help him stay organized, and keep papers corralled and ready to act on wherever he goes. A Bocce Set will give him downtime to enjoy with the kids or with friends for the backyard or the beach or anywhere in between. Visit Amara to shop these, and many more, gifts for the hard to shop for dad. Or, head over to their quiz to find out what kind of Dad you have and gift suggestions to go along with your Dad’s style. Grab new digs to treat dad this year with Johnnie-O. They were formed to blend west coast casual with East coast classic for a brand unlike any other – a preppy west coast vibe that says it’s okay to like both the lake and the beach, both a golf club and a country club. Johnnie-O carries styles for men and boys including a great assortment of polos and sport shirts, blazers and khaki shorts, and everything in between. You can get dad ready for the swim season ahead with a Huntington Rash Guard and swim trunks. He’ll be able to tackle whatever summer brings with a Tropics Polo. It features a faint print with a tropics feel that makes you want to escape to a beach side cabana. Pair it with comfortable Derby shorts to complete the look. Visit www.johnnie-o.com to browse all their great styles for dad this year. You can score 20% off Johnnie-O.com now through June 19th with the coupon code AMT17. Do you have a man that loves being busy and doing projects? Give dad a fun project to do this Father’s Day by grabbing him some Faux Vinyl Flooring from Atrafloor. The textured faux effect vinyl flooring from Atrafloor will add a whole new dimension to his home, giving his floors the facelift they need to make his home stunning. With many different graphics to choose from, he can achieve the interior designer look he will love. 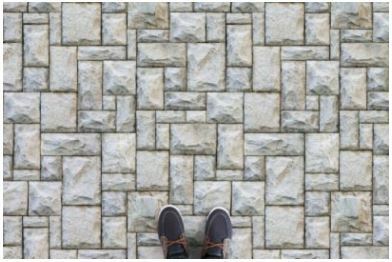 From wood to stone, marble to tile or even greenery, he can get the look he’s always wanted without limitations. Help dad update his home floors and get the interior design look he loves with some new Faux Vinyl Flooring From Atrafloor. Nothing’s worse than being out having a good time and just watching the battery bar on your phone dwindle. This Father’s Day, get dad a portable charger from myCharge. The myCharge HubPlus 6700mAh portable charger comes with built-in charging cables for Samsung and iPhones. The built-in cables make hauling around cables a thing of the past. It also comes with a USB port for charging more than one device or for phones and tablets other than Samsung or iPhone. The portable charger plugs right into the wall and will have a full charge in no time. Never leave dad stranded with a dead device again. Make sure he can catch all the important memories and answer every important phone call, by getting him a myCharge HubPlus portable charger. Dad’s LOVE re-living their childhood, and nothing gets them there quicker than the fantastic t-shirts from 80sTees. 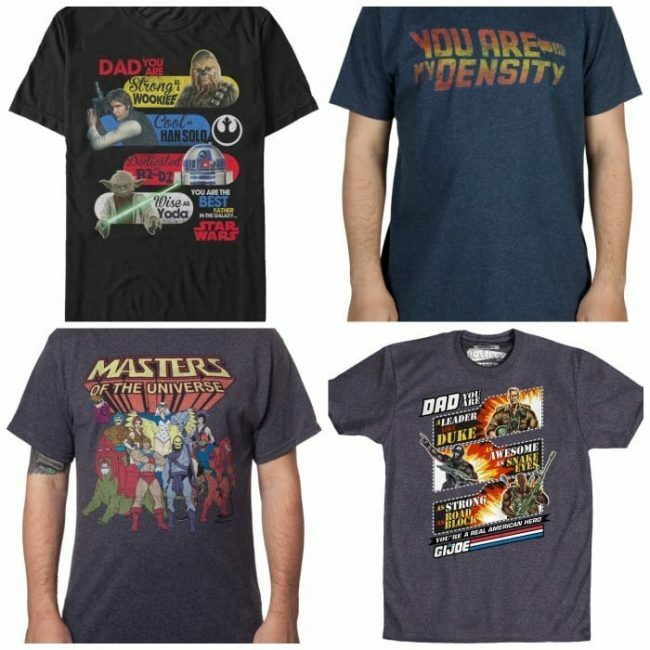 Any dad would love to get a retro shirt from The Karate Kid, or Goonies, or Star Wars, but they have an even better Father’s Day gift that compares the Dad in your life to their favorite old-school characters and comic book heroes. He’ll be the talk of the town sporting these epic shirts, and you’ll be the hero that brought the most amazing RETRO Father’s Day gifts ever! It’s right about that time to start celebrating the recent graduate with a party before sending them off to their next step in life. 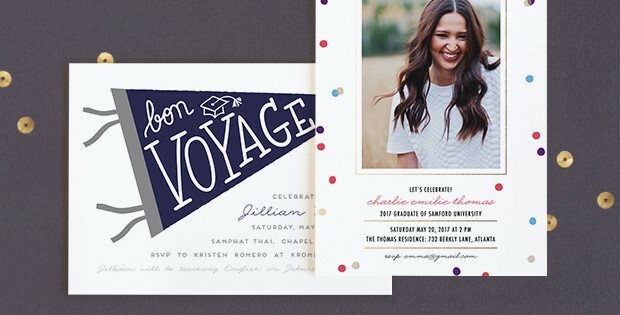 Minted.com has gorgeous graduation announcements, party invitations, and personalized thank you cards that will really be a special way to appreciate those that helped them get this far. You can even turn to Minted for personalized art gifts that can help them remember this important milestone and stage. I adore the Senior Year Snapshots that has a foil “2017” stamped on the front and lets you share a collection of favorite pictures in a clean, beautiful layout. Make a keepsake by snapping a photo of the campus, their first dorm, or their college fraternity house with Minted’s Custom House Portrait Art. You’ll upload the picture and Minted will take care of the rest creating a drawing from the photo and sending back a proof for approval before printing. Visit Minted.com to check out all their personalized and fine art gifts for both Dads & Grads. If he’s always carrying around his camera, he will be ecstatic for a Spider Holster to give him a hands-free way to carry his equipment. They offer a variety of breakthrough holsters that can be removed from the holster, that’s worn on your hip, in a moments notice to snap those perfect pictures. By moving where you carry your camera to your hip, it’s easier to access and removes the strain on your neck, shoulders, and back that typically comes from carrying your camera in a traditional manner. The SpiderLight Camera Holster is incredibly lightweight and designed for small DSLR’s and mirrorless cameras. Just clip the hostler to a belt or right to your pants. If they are heavy into professional lenses and extra gear, turn to the SpiderPro Single Camera System. It comes with a Pro Belt with built-in holster and a padded section to protect your camera. Learn more about all of Spider Holster’s products at spiderholster.com. New adventures need the right accessories. As your grad heads out into the world, make sure they are prepared with the perfect gear. Solo has the right bag no matter what step is coming next. Headed into the workforce? The Vestry Bucket Tote has space for everything you need to look stylish and still be prepared for anything the new job throws your way. Are they heading out to explore the world or visit home? The Impulse Duffel is designed to get the job done! It has a fully padded 17.3″ laptop compartment, an Internal iPad®/ tablet pocket, large capacity main compartment, a removable/adjustable shoulder strap, and a back strap that slides over luggage handle. It is the perfect bag on its own for smaller trips or as a companion to your favorite luggage for major exploration! Be prepared for whatever your new life sends your way after graduation with Solo bags. Whether your grad is graduating from jr. high, high school, college, or grad school, personalized jewelry by Onecklace is the perfect way to make memories last a lifetime. Whether you choose to personalize your jewelry with important dates, names, places, etc. you can be sure your sentimental grad can enjoy this meaningful piece of jewelry forever. Something that I absolutely adore about Onecklace’s Bar Necklaces is that they go with EVERYTHING! I can casually wear them with a baseball cap and v-neck tee or dress them up with a little black dress – perfect for a night on the town. And ordering you grad’s perfect piece of jewelry is a breeze – simply choose the style you like, customize the color, chain length, and wording. Talk about the perfect gift for every grad. Be sure to visit Onecklace to browse their numerous personalized necklaces, bracelets, earrings, and rings. Is your phone always out of space because it is filled with photos and selfies from all of your adventures? There’s a tool for that, and it’s changing the way we think about our photo storage. PictureKeeper Connect is a smart tool that connects to your phone and easily backs up your photos and videos, leaving you room for your apps and other files. You start by downloading the free app. Each time you plug in the drive to your device and launch the app, the backup will get started and manage all of your files for you with ease. PictureKeeper Connect is compatible with both Android and Apple devices, and the free app is available on both platforms. Just make sure to grab an Android Connect Cable if you own Android devices. Visit picturekeeper.com for more information about the PictureKeeper Connect and their desktop tools as well. If you have a recent grad that loves to play games, treat them to a new headset from HyperX. We all need a break from the chaos of life sometimes and HyperX Cloud Stinger is just the gift to provide that escape. With the Cloud Stinger’s 90-degree rotating ear cups and memory foam ear pads, your gamer will get hours of comfortable game play. The HyperX Cloud Stinger has many more features that make it the ultimate gaming headset. Some more of its features include a swivel-to-mute microphone and noise cancellation. The HyperX’s 50mm directional drivers position sound directly into the ear for audio precision and fantastic gaming audio quality. This graduation season, give your grad something fun they can do after a long day’s work with a headset from HyperX. Another really cool feature about the Epson Expressions Home XP-440 Small-In-One is its ability to print from virtually anywhere – whether or not you’re connected to the internet. Plus, you’re able to print things from your computer, laptop, smartphone, or tablet. And if your new grad loves taking photos (which most do) the Small-In-One printer also prints photos from your Instagram and Facebook page with its Epson Creative Print App. Talk about the perfect way to ensure your new grad is equipped for a new school year. Now that school is over, it’s time to start that exciting new career. In the corporate world, information is an asset critical to any company. Most companies have controls in place to protect and secure the data of the company. If your grad is heading off to work in the digital world, grab them a GateKeeper. The GateKeeper is a wireless lock and key for your computer. It’s small and simple design makes it easy to hook to your office badge or a key chain. When using GateKeeper for your computer, the user can lock or unlock their computer based on their proximity. GateKeeper is already being used by law enforcement to keep their mobile computers open during chases. Also, by doctors to automatically log into the terminal as they approach. The Gatekeeper makes sure that your computer locks as soon as you’re away from it. It also automatically unlocks it as you return, making the process of logging back in fast and easy. Make office life easier and help keep the companies information secure with a wireless lock and key by GateKeeper. Is your grad heading off to live on their own shortly after graduation? The Northwest is the leading throw manufacturer in America, and will keep your grad cozy and warm through the next stage in their life. No need to be cold in when they could be cozy in this Captain America Throw. The Northwest has something for everyone, from sports and comics, to entertainment and Americana products, you’ll easily find the perfect gift. They also don’t just sell throws, The Northwest has a HUGE variety of dorm-needs, automotive-needs, all sports team paraphernalia, etc. 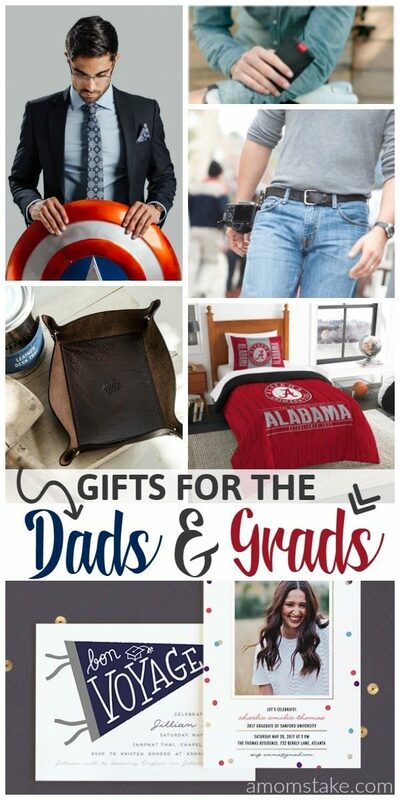 What gifts are you planning for the dads & grads in your life? These are really great suggestions! I will have a look and see what will be perfect for my husband! I am loving the retro t-shirts. I will have to take a look through them to find one for my husband. He is always looking for new t-shirts. These are all great! I am sure my husband would love any of them. He loves techie stuff, so the Amazon Fire stick might be the one for him. Thank you so much for the great ideas. I have dads and grads to purchase gifts for this year. My Husband would love to wear one of those suits. I will have to look into getting an Amazon Fire TV and an Amazon Fire TV Game Controller. These are some great gift ideas! 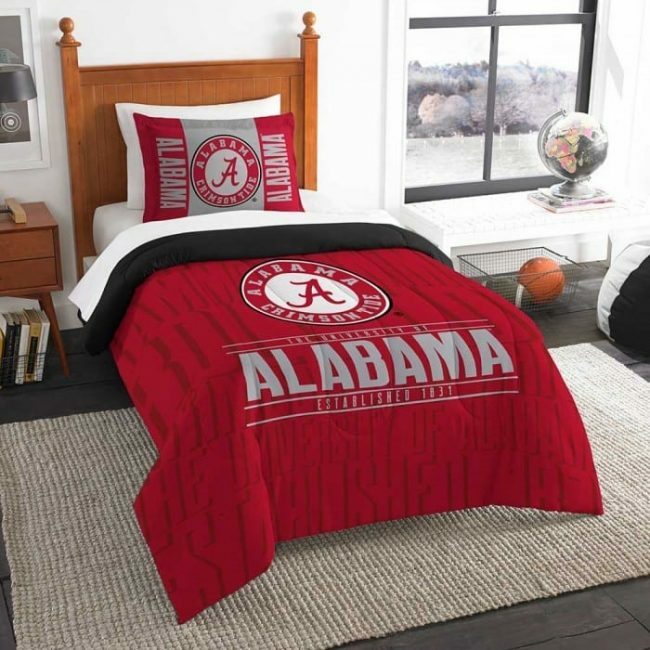 I would love to get the blanket set for my husband I am sure he would love it! I love the look of the leather “catch all” tray!I am going to say that the amazon fire is my first choice for a gift for dads and grads! I know someone who would definitely appreciate a gift like the SpiderLight Camera Holster. That has got to be great for both photographers and travelers. Onecklace’s are awesome! They make really great gifts that are unique and everyone appreciates them. They also don’t scream “graduation gift” or “father’s day gift” so they are appropriate for any occasion. I really want to get that Amazon fire stick for my husband for Father’s Day. It’s a great price and it has everything I like on it. This is a great list. I think for someone going off to school, the practical stuff like bedding, dorm furniture, etc makes great gifts and it’s something they can actually use. Streaming devices are awesome, and any movie or tv’s lovers dream come true! Those 80’s tees are the bomb! Thanks for this list. I think my husband is going to be one happy dad this Father’s Day. My husband would like that portable charger. He takes the train to and from work, so that would come in handy for him.